It's 11 a.m. on a Wednesday and the campaign office for Democratic congressional candidate Hiral Tipirneni in Sun City, Arizona, is filled with dozens of senior citizens making phone calls and logging minutes on their personal cell phones. Bobbie Kettles, 68, has been here almost every day, calling everyone on her list and explaining why they should vote for Tipirneni during this week's upcoming special election. "My free time is pretty much 90% for the campaign," says Kettles, a member of the Sun City Democratic Club. "I thank God I'm retired now so I can do this." On Tuesday, Tipirneni will face Debbie Lesko as each candidate vies for the Arizona's 8th congressional district seat previously held by Republican Trent Franks, who resigned after he discussed fertility issues and surrogacy with two of his campaign aids. Even though Trump won the district by 21 percentage points in the 2016 presidential election and Lesko is a strong favorite, Democrats here still think they stand a chance. They fear the more than trillion-dollar deficits that Trump's tax bill is expected to create over the next 10 years will mean cuts to entitlement spending -- particularly Social Security and Medicare -- and they want a candidate who will protect those benefits. "I've paid in, so now that they're going to take that away as some kind of entitlement?" asks Kettles. "They took it out of my paycheck every month, it was a contract that I made with the government. That just really is not right." Meanwhile, many of the Republicans who support Lesko point to her support of the Trump administration's recent tax reform, which they say has had a meaningful difference on the community and their own personal finances. In Sun City, a 55 and older community of nearly 42,000 retirees, the stakes couldn't be higher. 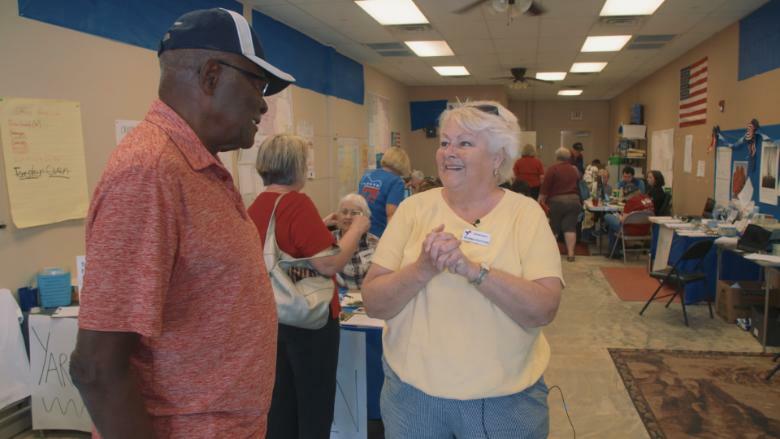 Seniors are expected to make up the bulk of voters in this week's election and early voting numbers from the Arizona Secretary of Sate notes 54% of all votes cast are from people 65 and older. That has the Republican and Democratic Clubs of Sun City working overtime. Vance Coleman, the head of Sun City's Democratic Club, has seen the group grow from 65 members to nearly 300 in the past year due in part to growing disenchantment with the Trump administration's stance on key issues. "When I hear Lesko saying 'I support all of Trump's policies' that's what she stands for," says Coleman. "While Tipirneni is saying, 'Hey let's look out for Social Security, let's look out for the people. And we've got to be concerned about Medicare." The Social Security Administration estimates Social Security's trust fund will run out by 2034 and will only be able to pay out 75% of promised benefits. Tipirneni wants to keep Social Security fully funded for seniors and future generations, as well as allow anyone to buy into Medicare, regardless of age. "I feel that it is absolutely wrong to make hard working Americans pay for a tax bailout for wealthy corporations and individuals," said Tipirneni on her campaign's website. "I will fight any cuts to Social Security and Medicare." She also wants to open Medicare up as a public option that competes with the private market. The hope is to keep Medicare funded beyond 2029, when the Social Security administration estimates the health care program will run dry. At that time, Medicare Part A, which covers the majority of Social Security recipients, would only be able to pay out 88% of promised benefits. 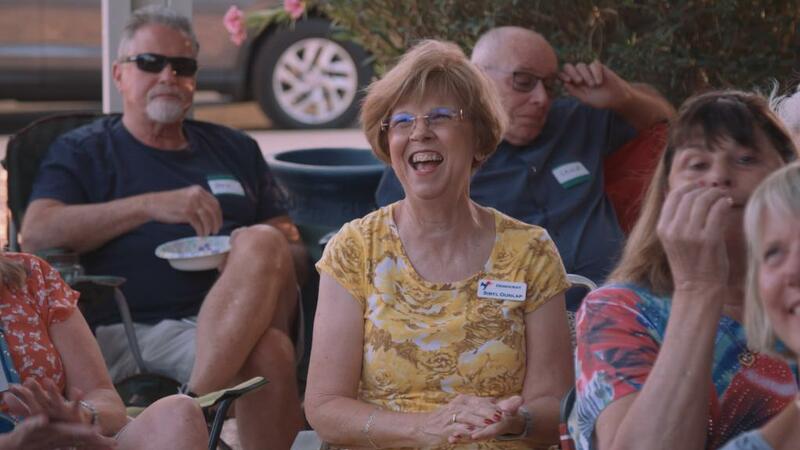 "I can't tell you how many people I know who are going on to Medicare now," said Eileen Fowles, 67, a member of the Sun City Democratic Club. "People are just turning 65. They've been in Sun City for quite a few years, and now they're getting into Medicare, and they're wondering what is this gonna really mean now?" Just down the road from Tipirneni's campaign office, members of the Sun City Republican Club are phone-banking at Lesko's campaign headquarters. Their group has held steady at about 75 members over the past year. Lesko hasn't campaigned much on the issues of health care or entitlement reform, but her stance on taxes has appealed to many of the seniors in the Republican Club. "I have never seen a tax I didn't want to cut and have a proud record of voting for common sense tax reforms," said Lesko according to her campaign website. "The newly passed tax reform package from Congress doesn't go far enough. We need a reformed tax code that allows citizens to fill out their tax returns on a postcard." 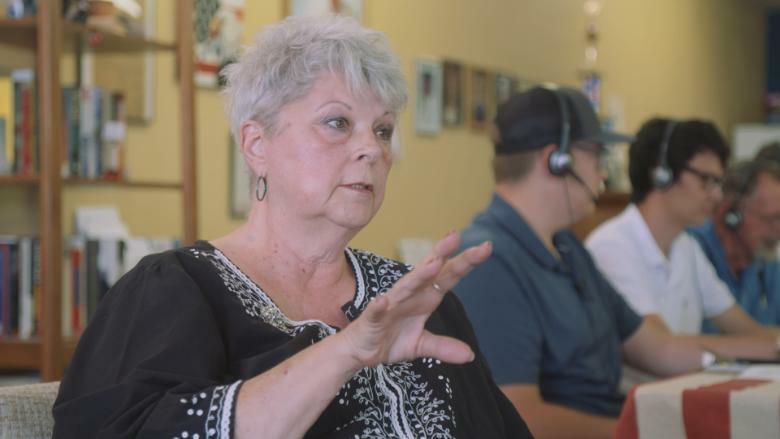 She says she would have voted for the Trump administration's tax bill because it has helped Arizona's businesses give employees bonuses. "This tax change that was made by the administration, despite what some people will be saying, really affects the people down here, and I can see it when I do their tax returns," said Peter Lee, the treasurer of the Republican Club and a private accountant. "I can see it when people are looking for assistance and help. They say they got their extra $25 because they had this tax change." Rita Hick, another member of the Republican Club, agrees. She takes issue with House Minority Leader Nancy Pelosi's comments that the individual tax credits were mere "crumbs." "It's not crumbs. If you're not making a whole lot of money, those crumbs are going to help you through the next week or the next month," she says. Rita Hick is a member of Sun City's Republican Club. Hick, 73, was in a car accident two years ago and uses a walker to get around. While it's difficult for her to travel to the campaign office, she has been working the phones from home. She relies on both Medicare and Social Security, but she doesn't think those programs will be the first to be cut. And she's confident Lesko will win on Tuesday. Regardless of who wins the special election on Tuesday, the candidate will have to run again in the primary in August, and then onto the general election in November. At a meeting of the Democratic Club ahead of Tuesday's election, members are already talking about a game plan for November. "We've got big plans in the fall," said Kettles. "We got lots of seats that we're going to take." But the Democrats have an uphill battle: They need 23 seats to flip the House. The Republican Club's Lee feels confident, too. When asked if the Republicans will be successful in November? "Oh, absolutely," said Lee. "And through 2020."